In preparing a teaching for a Bible class of mentally challenged adults, one of the most rewarding things you can do is to allow discussion and questions. In fact, a good portion of the class time should be left for participation by your members. I like to leave half of the class time for the members to give their input. If left on their own, a class of mentally challenged people will react the same way any other group will act. There will be one or two people who will monopolize the conversation, not allowing anyone else to answer. To avoid that, there must be guidelines that you follow and insist that the class follows. 2. Answers should be direct answers to the question. “Love them” is not an answer. “Buy them lunch one day this week” is an answer. “Do the dishes after supper” is a direct answer. 3. I find that writing the answers on a board or a large sheet of paper that everyone can see validates the answers and give their words importance. 4. On occasion I invite everyone to make a commitment (to be more loving or pray each day) by writing their names on the board. I will write, I WILL PRAY EACH DAY. Then the class is invited to come to the board and write their name to make a commitment to do this. The members of the class have learned to love this time of commitment. I only do this about once or twice a year. In this way, the commitments are important to them. 5. Keep the questions related to the Bible lesson and a daily application. 6. At times, I will ask someone to read the memory verse and we will go over it to memorize the verse. i have one member who does not want to read the Bible verse but she wants to have it read each week. 7. When the class was much smaller, I would have the members play games that reinforce a Bible verse or truth. An example is tossing a penny to a line. Before each person could toss their penny, they would have to say the Bible verse. I would help those who needed help. The person who got the closest to the line may or may not get a prize. The prize was often allowing them to lead the class in saying the Bible verse again. 8. Prayer requests may also be a part of the application portion of our lesson. Be sure to allow time to pray for each request. To reinforce the Bible lesson, I retell the Bible story they heard during the devotions two times. Then I have the class retell the story but they must tell it backward. I ask questions regarding the story and they answer them. I find that the members who have been in my classes for a couple of years are able to retell the story. However, even after hearing the Bible lesson three times, those who have not been trained to listen or who are new in the class are not able to answer even the most simple questions. 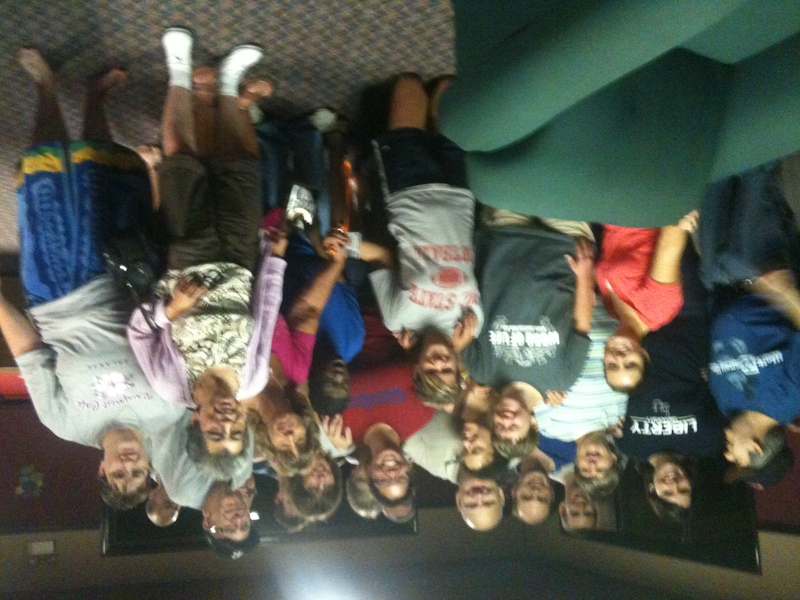 Teaching a Bible study class for people who are mentally challenged is one of the most rewarding things a person can do. What are some of the things you do that you find to be effective in teaching your class? 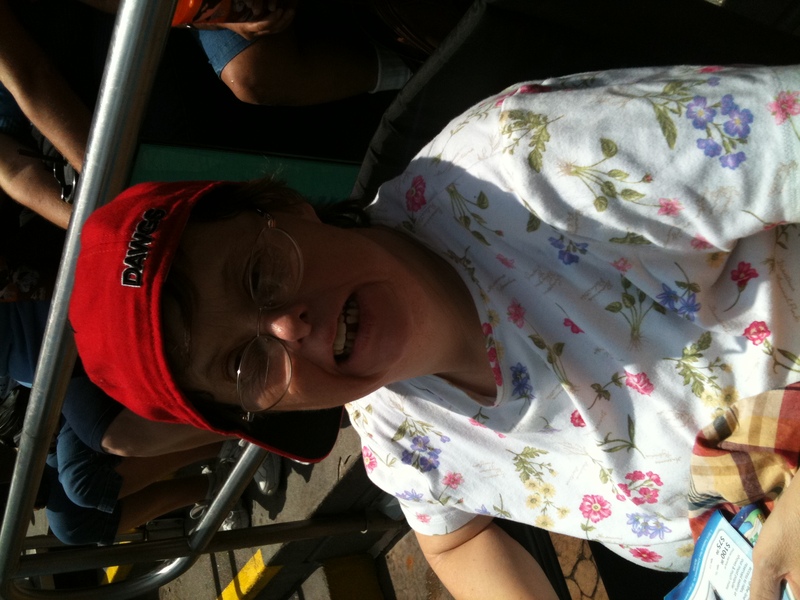 For 20 years I knew God had called me to minister within the community of people who are intellectually disabled. But I could not figure out how to do it. It seemed impossible until the Lord led me to Special Gathering. Each time we meet at Special Gathering, we teach the Bible story two different ways. First, we have a devotional in which all the members join together. Then, we divide into small groups for Bible study classes. This is a classroom type teaching. Our Bible classes are an important part of what we do. We divide them into two types of classes. First are the Bible reading classes. In these classes the members read through a book of the Bible, such as Matthew and we discuss the passage together. To me discussion classes are most difficult to teach because of several misconceptions. The most prevalent is that some teachers use these classes as an excuse to not prepare and study for the class. This leads to a class that is usually ineffective. The second type of class is a more formal teaching situation in which the teacher shares with the class. This is the type of class that many people shy away from because they assume that it takes a great deal of work. In reality, I believe that the verse-by-verse class is the most difficult to study for, if it is to truly have value to the Bible student. For both classes preparation is the key. This is the way I have found that I can effectively study to teach a class. I read over the verses that I’ll be teaching at least a week ahead of time. I do not try to glean from the verses or study them. I merely read them several times. As an example, I read over the verses on Sunday afternoon the week before I teach on Sunday morning. I quickly jot down anything that I may get from the verses in the Bible. Several days before I teach, I read over the lesson in the curriculum. I follow this order. I READ the BIBLE verses a week before. Days later, I read the lesson. At Special Gathering, we use ACCESS published by the Southern Baptist publishing arm Lifeway. The teacher’s lessons are excellent. You will find valuable Biblical and historical background. You will have more material than you can use in a year. In fact, many new teachers complain that they can’t ever use all the material presented. That is the point of these lessons. You can pick and choose what you believe is valuable to your students. I read and study the Bible each day, in my normal devotions. I mentally note anything in the scriptures that relates to the weekly lesson. As I listen to the radio in the car, cruise the Internet or view TV, I write down any current events that relate to the class and the lesson. I always glean more material than I can imagine. The evening before I teach, I set down and gather my material and thoughts. Then I write down the lesson. I find that 15 minutes should be about 1/4 to 1/2 of a typed page in outline form. I always keep in mind that I am only going to teach only half of the class time. The rest of the time is dedicated to guided discussion. If my class is 30 minutes, I will be teaching the Bible lesson for only 15 to 20 minutes. The hardest part for me and probably will be for you is bringing too much material to the class. If I am to give time for discussion or questions and answers, I must limit the amount of material I plan to present.